Making toast when camping is not a simple task as you typically do not have a toaster. This will not be a problem if you have something else that will work just as well. You can easily make a wire toaster for camping by using a metal coat hanger. The key to being able to make a wire toaster for camping is using bare metal. You should not use a coat hanger that has a plastic coating as the coating will melt and produce harmful fumes. The heat that is produced from the coals of a campfire is all you will need to toast a slice of bread. 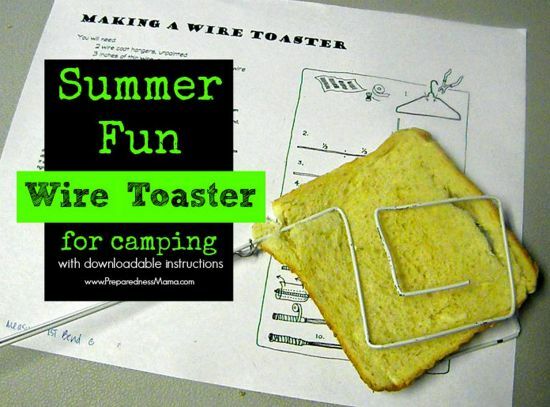 You can make a wire toaster for camping with a few basic supplies. The only tool you need to use for this project is a pair of wire cutters. You will be using paper to make the handle, but a pair of gloves can also be used.